Utilizing their own custom software, 242.pilots expressively improvise rich, layered video works in real-time (both as a trio and as soloists). The performance software created by HC Gilje, Lukasz Lysakowski, and Kurt Ralske (formerly of 4AD group Ultra Vivid Scene and late 90s electronic outfit Cathars) allows video to be controlled on-the-fly in a direct and fluid manner. Improvising as a group, the three artists respond and interact with each other’s images in a subtle and intuitive way. Images are layered, contrasted, merged,and transformed. The degree of interplay and unspoken communication between the artists is akin the best free jazz ensembles. The end product is a complex visual conversation: a quasi-narrative exploring degrees of abstraction; a mesmerizing, immersive journey through diverse landscapes; or just raw retinal delight. 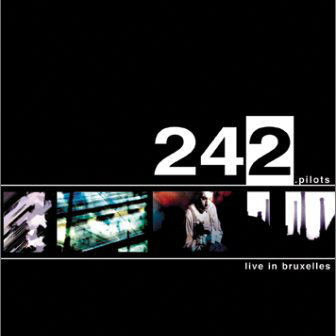 242.pilots have performed at the Museum of Contemporary Art in Montreal, Tranmediale.02 Festival in Berlin, Impakt Festival in Utrecht (NL), Steim in Amsterdam, and Kunstlerhaus Dortmund (DE). They have also performed at other museums, galleries, and theaters in the Netherlands, Germany, Belgium, Denmark, Canada, and USA.